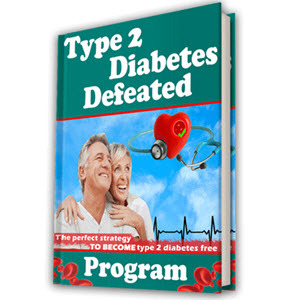 Despite efforts to control their disease and maintain a normal glycemic state, most persons with diabetes eventually develop one or more secondary complications of the disease. These complications may be somewhat subtle in onset and slow in progression; however, they account for the high rates of morbidity and mortality. While the specific mechanisms involved remain areas of debate and research activity, most secondary complications are vascular or neural in nature. Vascular complications may involve atherosclerotic-like lesions in the large blood vessels or impaired function in the microcirculation. Damage to the basement membrane of capillaries in the eye (diabetic retinopathy) or kidney (diabetic nephropathy) is commonly seen. Although there is no satisfactory direct treatment for diabetic vascular disease, its progression is often monitored closely as an indirect indicator of the overall diabetic state. 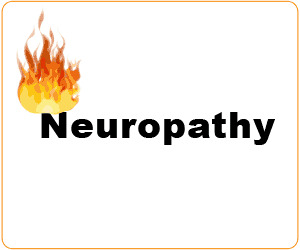 Diabetic neuropathy typically involves symmetric sensory loss in the distal lower extremities or autonomic neuropathy, leading to impotence, GI dysfunction, or anhidrosis (lack of sweating) in the lower extremities. The diabetic foot is an example of several complicating factors exacerbating one another. About 50 to 70% of non traumatic amputations in the United States each year are due to diabetes. Breakdown of the foot in persons who are diabetic is commonly due to a combination of neuropathy, vascular impairment, and infection. In a typical scenario, small lesions on the foot result from dryness of the skin due to a combination of neural and vascular complications. Impairments in sensory nerve function may result in these small lesions going unnoticed by the patient until a severe infection or gangrene has become well established. Loss of the affected foot or limb often can be avoided with patient and physician education. The focus in managing patients with diabetes is the maintenance of normal blood glucose levels; avoiding primary complications, such as diabetic ketoacidosis or hyperosmolar coma; and initial secondary complications, such as diabetic retinopa-thy. There is an increasing awareness of the importance of assessing the feet of a diabetic patient at each visit. The results of one study show that the likelihood of amputation is reduced by half if patients with diabetes simply remove their shoes for foot inspection during every outpatient clinic visit. Therefore, while the underlying physiological mechanisms of the problem may be complex, the problem can be relatively easily avoided. thickening of the basement membrane. This condition leads to impaired delivery of nutrients and hormones to the tissues and inadequate removal of waste products, resulting in irreparable tissue damage. Some of the more disabling consequences of diabetic circulatory impairment are deterioration of blood flow to the retina of the eye, causing retinopathy and blindness; deterioration of blood flow to the extremities, causing, in some cases, the need for foot or leg amputation; and deterioration of glomerular filtration in the kidneys, leading to renal failure. 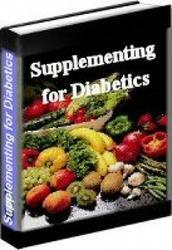 Diabetic peripheral neuropathy is also a common complication of long-standing diabetes. This disorder usually involves sensory nerves and those of the autonomic nervous system. Many persons with diabetes experience diminished sensation in the extremities, especially in the feet and legs, which compounds the problem of diminished blood flow to these areas (see Clinical Focus Box 35.1). Often, impaired sensory nerve function results in lack of awareness of severe ulcerations of the feet caused by reduced blood flow. Men may develop impotence, and both men and women may have impaired bladder and bowel function.